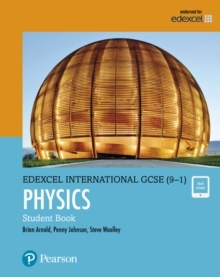 This book provides comprehensive coverage of the new Edexcel International GCSE (9-1) specification with progression, international relevance and support at its core. It is designed to supply students with the best preparation possible for the examination:* Integrated exam practice throughout, with differentiated revision exercises, exam practice and learning summary sections. * Provides free access to an ActiveBook, a digital version of the Student Book, which can be accessed online, anytime, anywhere supporting learning beyond the classroom. * Transferable skills, needed for progression into higher education and employment, are signposted allowing students to understand, and engage with, the skills they're gaining. * Pearson progression tools allows quick and easy formative assessment of student progress, linked to guidance on how to personalise learning solutions. * Reviewed by a language specialist to ensure the book is written in a clear and accessible style for students whose first language may not be English. * Glossary of key terminology, along with full answers included on the ActiveBook. * Further teacher support materials, including lesson plans, are provided online.